Just yesterday, we reported how .com domain registrations were starting to turn around again after a lackluster 2008. 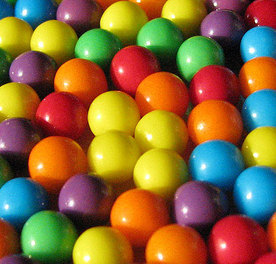 Today brings further proof as the domain candy.com has just sold for $3 million to G&J Holdings. That makes it the second largest domain purchase this year, following Toys R Us’ acquisition of toys.com. G&J Holdings plans to use candy.com to sell — get this — candy. They would like to become the online destination for all your candy needs by offering expedited shipping and competitively price products, as well as a nice shopping experience. But really, how much does all of that matter when you have the awesome candy.com domain name? The press release claims there are over 800,000 searches for the word “candy” each month — hence, the $3 million price tag. The deal was actually all set to be done a couple months ago, but it took all this time to finalize it (read: for the lawyers to go over it). The site was purchased from the “Domain King,” who has all the details of how it went down. His real name is Rick Schwartz and he made a name for himself last year when he sold the ireport.com domain to CNN for $750,000. He also owned property.com which was sold for some ridiculous amount to foreclosure.com as the economy collapsed.